It’s funny that you consider Epic to the be the Vertigo of Marvel, considering that the Epic imprint started in 1980 as an anthology magazine in the Heavy Metal mold. So Epic pre-dated Vertigo by over a decade. But it’s still a good analogy. I’ve never actually read Meltdown, but I do remember being present at the Atlanta Fantasy Fair (later DragonCon) when Meltdown was announced, back in the oldie days where cons were the venue of choice for announcing titles. Sadly, in my dotage I can’t recall specifically if it was 1987 or 1988; I do seem to recall it also having delays from the initial announced date, but that recollection is even shakier. Not too much help running down the exact dates, but it’s what little I have to offer. Jon J Muth! Moonshadow, Dracula, M, “City Dog, Country Frog”… Great stuff. Read Meltdown as it was coming out, it’s probably my least favorite work of his, I’ve definitely essentially forgotten it at this point. Oh, “Susan X-Plains nuclear reactors” was awesome! The art in this is gorgeous and in a way, especially Wolverine, reminds me of the illustrations from Scary Stories to Tell in the Dark. I still own my copy of the Meltdown series, and remember when it came out. I was really big into X-Men and Wolverine at the time, and was surprised to find issue #1 at the comic book store among the new releases for the month. (Pre-internet you could actually be surprised at what was on the shelves.) I didn’t really understand the relationship between Wolverine and Havok, but being a young Wolverine fan, it seemed my duty to pick it up. I’m not sure I ever fully absorbed the plot, but I loved the painted art–even if I was unsure about the exaggerated design for Wolverine. You mentioned only two authors referencing Meltdown afterwards. In fact, Claremont himself was about to throw in a quick tip of the hat in, I think, the “girl’s night out” post-Inferno issue, where Silvestri draws Wolverine styling his hair in the exaggerated “Meltdown” style, and he says something about it being a style he had tried out recently. Nice jokey reference. Nice discussion of the story. This was one of the few series/issues that made my “keep” pile when I’ve been getting rid of many of my old comics. I need to dig these out and re-read them–or at least just check out the pretty art! This was one of the earliest X-Men mini-series that I read, so it actually took me a few years to realize that Wolverine and Havok’s “bromance” didn’t really exist anywhere else. Here’s an answer to your question about when the miniseries was released: I checked issues of Amazing Heroes, a comics fan magazine that ran from the mid-80s to the early 90s, twice a month for most of its run. Each issue ran a list of coming comics with release dates. According to AH, the release dates of the four issues were 9/15/88, 10/13/88, 1/12/89, and 2/14/89. How to make matters more complicated: according to Marvel Age Magazine, Meltdown launched late. #70 of Marvel Age has a solicit for #2 on sale 11/1/88 — ship date as 10/13, which more or less matches the AH info above. But the next issue then re-solicits #1 with an on sale date of 11/29/88. So… let’s say that latter date is right…? Maybe? My Marvel Age collection is spotty enough that I can’t tell if it was re-solicited again after that. For context, contemporaneous issues as per Marvel Age #71: Excalibur #6 (11/22), New Mutants #73 (11/29), Wolverine #5 (11/29), Uncanny X-Men #242 (12/6) and X-Factor #38 (12/13). Marvel Comics Presents is on #14-16 in these solicits, with no Wolverine strip, but the Nocenti/Leonardi Colossus strip in its place. So, now we know… something…? I bought Meltdown #1 when it came out, but all I can remember for sure is that it came out when I was in high school, so no later than May 1989 (which isn’t much help for a series that’s usually dated 1988). The best source for information might be if anyone owns the original issues of Epic series that covered that period, such as Hellraiser or Alien Legion, to check for ads or editorial aterial mentioning it. The “Pharaoh’s Legacy” storyline can be dated relative to Inferno more precisely, though, because the cover dates were consistent across the line. MCP #24 was dated Late July 1989, and #31 in Early November 1989. Uncanny #239 is dated December 1988, and 243 is April 1989, so it looks pretty definite that Inferno came first. Great episode. Comics, science and history all wrapped into one. As an elementary school teacher I often find it hard to explain the entire iron curtain and nuclear proliferation when it comes up, albeit briefly, in our primitive social sciences texts. John’s comment above was interesting (re: Claremont referencing Meltdown past tense in the “Ladies’ Night” issue #244) because I could have sworn that there’s a segue to the start of Meltdown in the following issue (“Men!”, issue #245). Specifically, that after their drunken adventure in #245, Havok and Wolverine talk about drinking each other under the table, a bar in Mexico is mentioned, etc. …and, yep, there’s a reference to it at the end of #245; Wolverine smooches Storm and suggests a road trip to Havok to a cantina in Mexico. Obsessive mode off, lurk mode back on, cheers! Good catch. I think that solves the mystery of where this fits in (which is separate from when it was published). I think I was mistaken. The panel I’m thinking of seems to be around the battle with Master Mold, not Ladies’ Night. My bad! The panel with Wolverine inviting Havok to Mexico is the end of #245, and the panel with the hair gel is the beginning of #246. Wolverine says the hairstyle looked “better on the road” (trip). Apparently Claremont intended the series to be slotted between those issues in continuity. Incidentally, Wolverine requests a leave of absence in this issue, and doesn’t return until issue #251. The ending of Wolverine #23 has him heading back to their Australian base in a jeep, which dovetails perfectly with the events in Uncanny #251. Up until this point, Chris Claremont specifically wrote Wolverine out of the X-Men during his miniseries adventures. The first Wolverine limited series resulted in a four month absence from the X-Men. 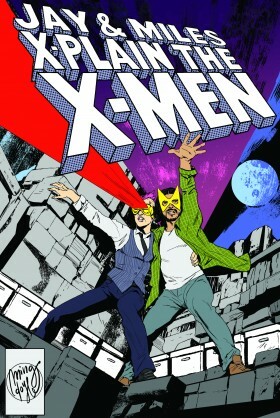 The Kitty Pryde and Wolverine series resulted in a six month absence from both characters. After the introduction of the Wolverine ongoing series, the absences don’t fit in quite that perfectly. However, it seems he was still trying to make everything fit together. We’re still quite a few years away from Wolverine having multiple solo books, and trying to be a member of every team in the multiverse. Yeah, I miss when effort was made to have each character be in a single place at a time. The introduction of Havok is kind of insanely compressed. Page 1 is a thematic splash page where Cyclops is being accused of murder; on page 2 we’re at the college graduation of Cylcops’ brother we’ve never heard of before; and on the middle of page 3 he’s kidnapped by Pharaoh cultists. It’s hard to form much attachment to a character in 7 panels. This is a good time to ask something I’m been wondering about: Has Alex’s adoptive family ever made a significant appearance outside of X-Factor #-1? It always seemed strange to me that they were never referred to, even though he lived with them longer than he did with the Summers family. It took 28 years to learn anything about them, but I can’t remember them playing much of a role since them. A discussion of glasnost with my X-men? God, I love this podcast. Pharaoh’s Legacy was not great. I’m a little too young to remember the Cold War. But on a certain level, I think it hasn’t really ended. A lot of people, especially older people (meaning the people who are actually in charge of international affairs), are still suspicious of Russia. Meltdown is awesome. It’s fantastic stuff. The art is gorgeous. The Chernobyl opening is fascinating. On a side note: A guy calls Wolverine American. Wolverine says he’s not American. He does this routinely, and it is the most Canadian thing. I love how, every single time someone calls Wolverine American, he immediately corrects them. I do wish this had been followed up on more. I liked seeing Meltdown show up in that Wolverine story a few years ago. It was cool. Why is it so rare to find comics with art this good? Will the industry ever get to a point where, like, even 10% of the comics that come out every month are as visually interesting as this? Coming Soon: Jay & Miles Ponder Political History? Because that might be epic, based on this episode. To be fair, Wolverine’s skeleton would only be a problem until Fatal Attractions. Magneto was doing him a favour and never got a thank you. I’ve got a question I’m wondering about related to the topic of narrative agency. So, I’m a cis-het-male with Autism, so I have some difficulty at times dealing with some of the abstract concepts related to privilege and prejudice in media. I’ve generally figured out some strategies for dealing with this topic (related to, for example, feminist critique of literature) – namely I seek out a more qualified source on the topic and defer to them – and if two equally qualified sources disagree, I find a more qualified one or go with my gut. However, recently I’ve gotten in a debate with some friends related to the topic of character agency related to problematic writing (both in the form of characterization and in terms of costume design) of female characters – related (among other things) to Inferno. The one side of the debate echos a view that has been (if I understand it correctly) has been expressed on the show – that while problematic writing is still problematic, if a character displays agency under those circumstances – that those decisions make sense for that character to make at that time, it can make things more palatable. The counter view is that fictional characters are, well, fictional. They don’t exist, they cannot make decisions, and thus can never have agency. Using the concept of “agency” to justify problematic material is the Watsonian equivalent of saying “That’s what my character would do” while betraying the party and stealing all their stuff in at tabletop RPG campaign. If a character does problematic things (or wears a problematic costume), then the responsibility for these things lies with creator who made those decisions (writer or artist), and the occurrence of those things is the fault of bad writing (or art). That second argument doesn’t work right for me, but, perhaps related to my autism and how I understand (or don’t) abstract concepts, I can’t really explain why. It feels overly reductive in a manner that I can’t put my finger on? This leads me to my question – does character agency matter when it comes to problematic writing (and, for that matter, art)? In the case of something like Inferno (sorry for taking us back there), where we have a perfect conflagration of problematic costume and problematic writing of a female character, how does the narrative justification of those character’s decisions matter, and does that excuse the writer or artist for including those problematic concepts in the first place? Thanks for the great show, and I’ll return to my regularly scheduled contextualizing X-Men through anime next week… which will be really weird since the show will be covering the X-men anime. “‘That’s the last time a woman manipulates me.’ Spoiler Alert, it is not.” had me get strange looks at the coffee shop as I just lost it. Also, the format was called “Prestige”. It was direct market back in the day when you could get monthlies in 7-11s and the like. Also, from what I understand, Marvel’s Epic line was less of an answer to Vertigo, and more an answer to the other, preeminent comic magazine running creator-owned series from the time, Heavy Metal/Metal Heurlant (which makes a lot of sense when you consider that one of the prestige titles that came out of this, Silver Surfer – Parable, was drawn by Jean “Moebius” Giraud, who got some considerable name recognition in the US through his various stories that were published in Heavy Metal. Vertigo didn’t appear as an imprint until 1993, so the Epic line, which launched in 1982, definitely wasn’t an answer to it. The Epic line spun out of the definitely Heavy Metal inspired “Epic Illustrated” anthology series which debuted in 1980. Fascinating episode guys. I confess I’ve never read this title, largely because when it came out my budget was limited, and neither Wolverine nor Havok were high on my list of “characters whose adventures I must buy every issue of” so a double act of them was an easy title to choose to not follow. I was awed by Muth’s work on “M”, but I don’t think I retroactively made the connection with Meltdown so didn’t track back to find it. Just wanted to pop in to say that this is definitely one of the best episodes I’ve listened to so far and I particularly wanted to shout out to the guest Nuclear Scientist Susan for her excellent bit at the end, and I’m sad I can’t listen to her talk for 12 hours about nuclear energy. That’d be rad! As others have mentioned, at the time it was presented in ‘Prestige’ format, meaning direct market only, low print runs and expensive. It featured high-gloss paper, a heavier card-stock cover, less restrictive content, advanced color reproduction and a square-bound format. It was an attempt to test the waters of a broader market. Marvel repeatedly put their feet in the water in this regard; miniseries were still all the rage at this point. Epic was created as a way to lure/keep creators who were starting to be lured away by the suddenly growing list of independent publishers. Companies like First Comics, Eclipse, Comico, Eternity, Dark Horse, Malibu and others suddenly were popping up everywhere and some creators were jumping ship for their own titles with much better terms (though longevity was another issue). Marvel’s response was to create the Epic imprint to both compete with Heavy Metal (who was sold in bookstores) and the new competition. I remember not picking it up because it was EXPENSIVE. In 2016 terms, that comic would cost the equivalent of ~$7.50. On a college student’s budget, that was a hard call to make. A $3.50 comic in 1987 was SEVEN TIMES the cost of a regular comic. That was a MAJOR disincentive at the time and one reason it probably isn’t nearly as well remembered. The Epic line also had some of the earliest major US manga releases – with a colorized release of Akira (with the colorization supervised by Otomo). Jay mentioned “Kidd of Speed” during the episode, but not by name. On a whim, I tried to look it up again a year ago and found Neil Gaiman’s Journal had posted a correction after he had mentioned it in 2004. There was quite a bit which was fraudulent about the story: the author wouldn’t have traveled by motorcycle, wouldn’t have been able to travel alone and arranged the trip not with her father’s security clearance but with a travel agency. I fell for the mystique of the lone woman in the radioactive wilderness, too, almost as much as Havok did for Scarlet. Sorry, but Wolverine’s not sparing anyone’s feelings this time. **sigh** Wolverine’s adamantium didn’t turn radioactive because healing factor. JEEEEZ! Seriously, though, I love this mini. It’s totally underappreciated.